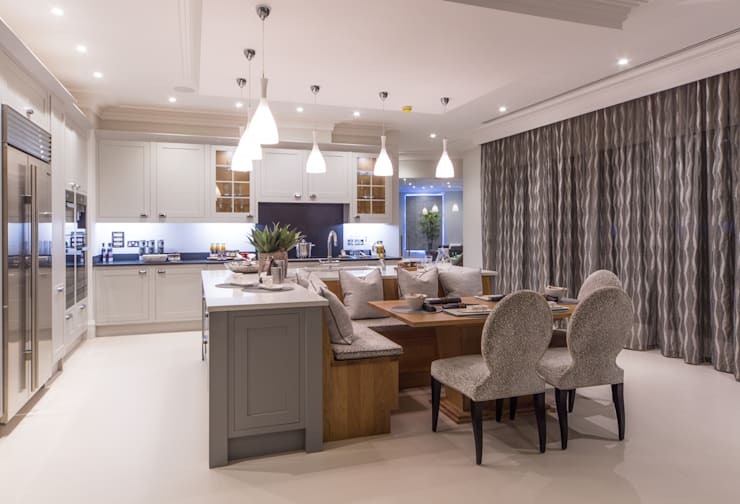 Dining rooms are essential spaces in our home interiors. It is here that we socialise and get together over tasty meals, where we share the events of our days and feel connected with our family, friends and loved ones. However, for a lot of us, having an additional room for the sole and exclusive purpose of dining, especially given the trend in recent years of downsizing our domestic spaces to make them more compact and manageable, may be a luxury, and virtually impossible within the modest walls and floor plan we have. Not to worry: ultimately, we all dine, and we all have at least once space in our homes that we use as a 'dining area'. And while that space may not be terrible large, with a few tips and tricks, even the most modest nooks can be made to look bigger and impart a greater feeling of space. 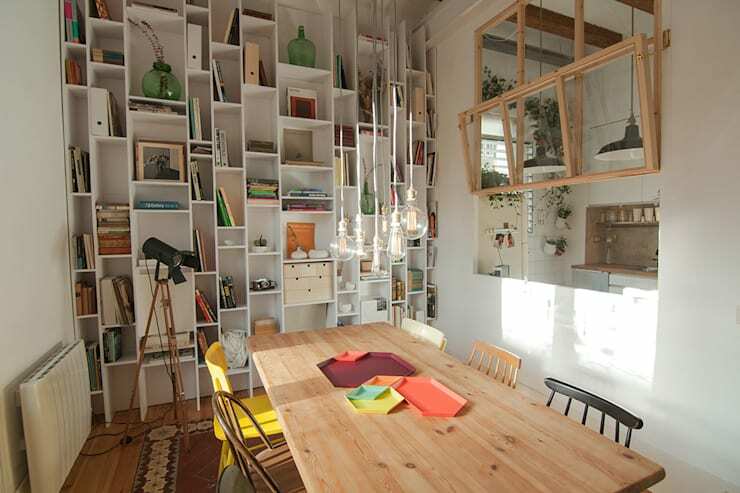 Today on homify, we're helping out with a look at how to make your small dining areas look bigger. Struggling with a small dining space that just can't be budged? Read on for a little timely guidance. When the walls feel like they're closing in on you during mealtime, there's only one thing to do: work with them. So often, the result of our feelings of dining room confinement come down to the fact that we're not using the space correctly, or to its full potential—clutter, mess, bits and pieces are strewn all throughout, and there's no sign of any clear space for us to enjoy our delicious meals and relax. If this sounds like your daily dining room experience, consider making the most of your walls by storing as much as you can within them. Too much clunky furniture or external shelving? Why not build a whole new shelving system into your walls and let it handle the load. 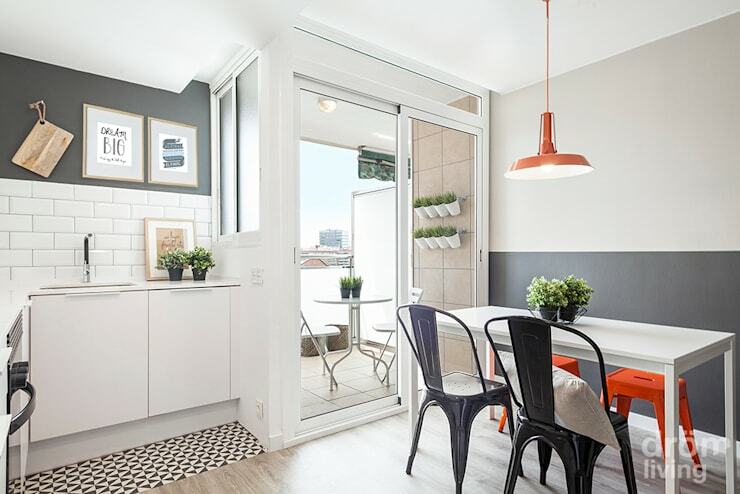 Here, we see an otherwise compact dining room that breathes and thrives despite its spatial limitations, largely the result of a thoughtfully and well-designed floor to ceiling in-built storage unit. Not only does this free up space and give the illusion of a much larger room, but it gives endless opportunities to showcase your favourite trinkets and accessories, to further enhance the aesthetic of the space. Of course, it can be a tricky thing to revamp and remodel a dining space - why not chat to a professional for a little extra guidance and a few tips on how to move forward? 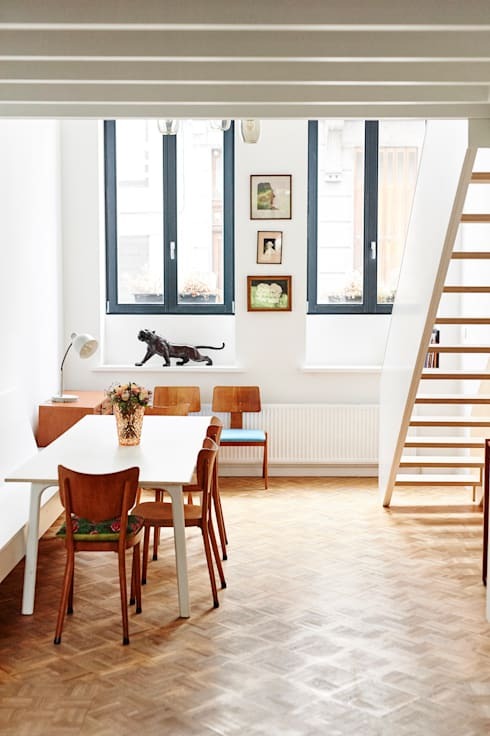 Let's take a look at this example: here, we have a rather cute and cosy dining area set up the staircase. It's a compact split-level apartment, and floor area really comes at a premium. The solution to making this a more functional and aesthetically larger dining room? Illumination! Well-harnessed light streaming in from modern casement windows here makes the dining space breathe with airiness and appeal. As well tweaking your mix and balance of lighting, doing the same with colour and tone makes for an equally handy and effortless interior-altering method. Different spaces demand and invite different types of tones and hues, but when it comes to smaller spaces—especially dining rooms—you can rely on a more minimalist treatment. As we see here, implementing whiter, beige and cream-based tones can really make the difference between a room that feels cloistered and limited, and a room that gives off the feeling of breeziness and accessibility. Imagine this room in a boisterous red, for example; or darker, moodier blues and browns. It's not to say that these colours wouldn't work in their own unique way, but they might not be the best choices if a spacious perception is desired. Work with light tones, and work your way to a more functional and seemingly larger dining space. We all like to decorate our spaces with objects and accessories that we think might brighten up our spaces, or give them a little extra flair. There's certainly not anything wrong with that, but it's wise to be judicious. If you're working with a limited dining room space, the last think you'll want to do is clutter it with too many bits and pieces that don't serve a key function. As we see in this fine example, less is definitely more when it comes to a compact dining space: this room truly thrives with a sense of enhanced space thanks to hardly any decorative additions—just a neat, thoughtful and cute selection of lush, green pot plants. When it comes to the home, multi-purpose 'anything' can only really be a good thing. Multi-purpose furniture gives options, and having a range of options—especially when you're working with more compact spaces—gives you added freedom to create and alter your interior spaces as needed. This is especially true when it comes to the dining room. 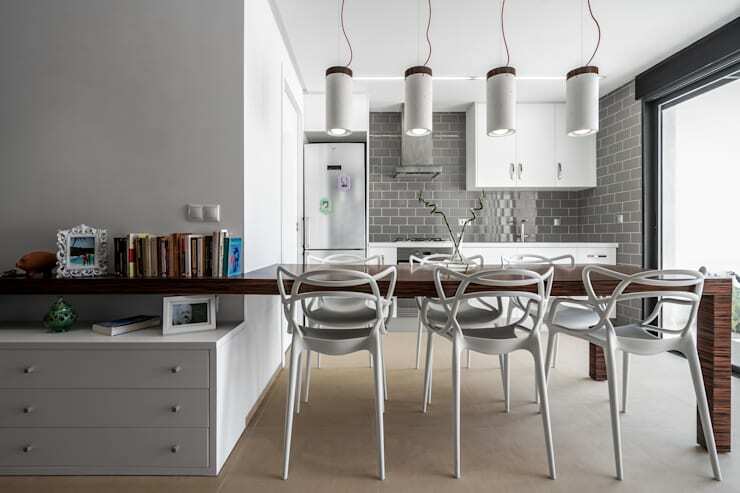 Dining areas in smaller households tend to cater to need with a basic, compact table and a few chairs. But what if you want to hold a dinner party or have some friends around for a meal? Here, the occupants have neatly leveraged their living room space, and furniture, to form a multi-purpose nook as part of the open plan kitchen. Instead of cramming a dining space in some other part of the house, or perhaps around the kitchen bench, this solution covers all bases: a space to relax and unwind; a place to eat during the mid-week; and with a few additional seats, a fabulous area to host a dining or gathering on the weekends. Though some Feng Shui practitioners might have differing opinions, generally speaking, mirrors have the ability to work wonders in almost any part of the house. If you're struggling for space and feeling hemmed in within the dining room, consider bringing in some mirrors, on in this case, some furniture with mirrors built in, to create a sense of greater depth and spaciousness. Did you like that Ideabook? Keep the ideas flowing with a look at Dining rooms with a difference! Do you have any other handy space optimising tips for our readers? We’d love to hear from you in the comments section below!